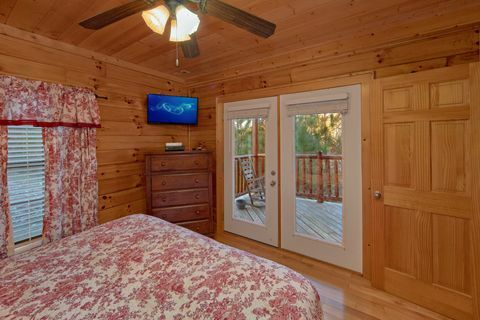 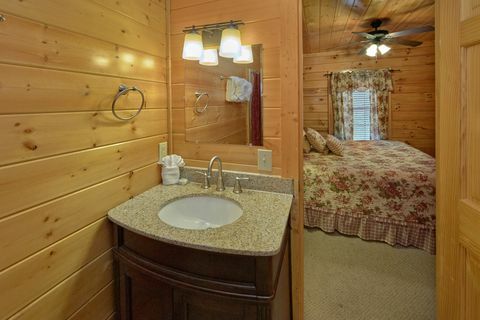 "Fleur De Lis", a Hidden Springs Resort cabin rental near Dollywood, comes complete with year round heated indoor swimming pool access and sleeping arrangements up to 12 guests. 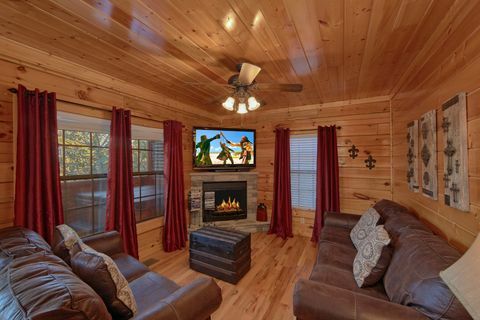 This comfortable cabin offers a great interior, wonderful cabin features, and a location near all the fun and excitement of area attractions. 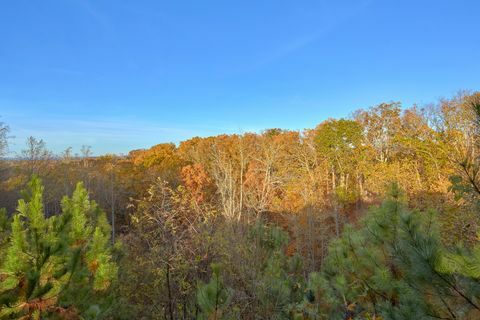 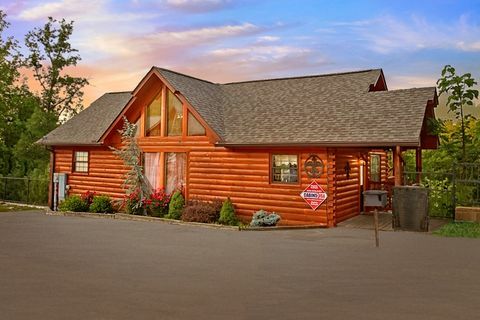 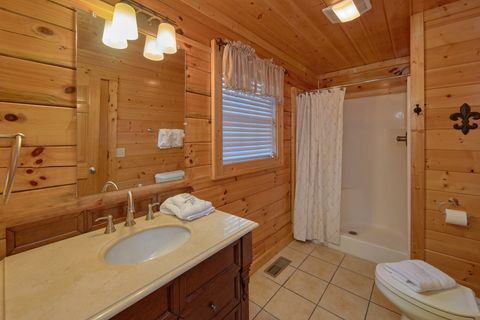 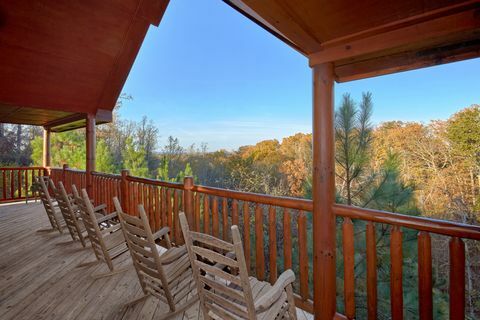 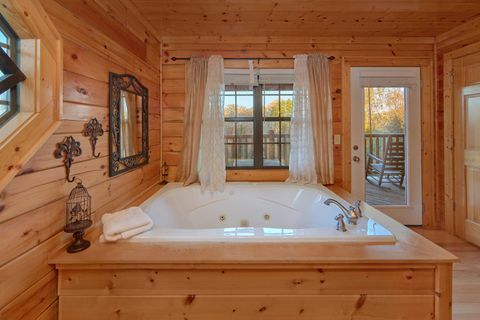 This Hidden Springs resort cabin rental provides fast access to action-packed Pigeon Forge Parkway close to Light # 8, The whole family or group can enjoy dozens of attractions, outlet stores, and restaurants all just minutes away. 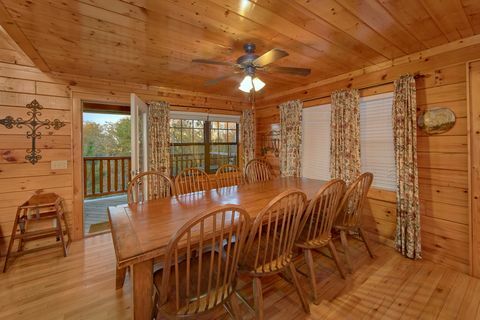 In addition to a great location, you’ll love the luxurious interior as well. 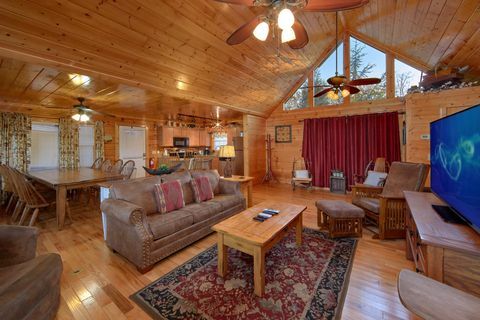 "Fleur De Lis" luxurious 4-bedrooms make it the perfect choice for groups hosting family reunions and church retreats. 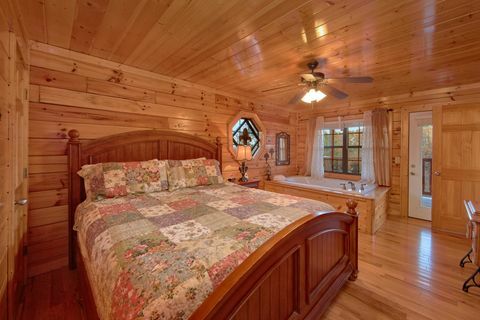 This cabin rental filled with elegant furnishings and décor. 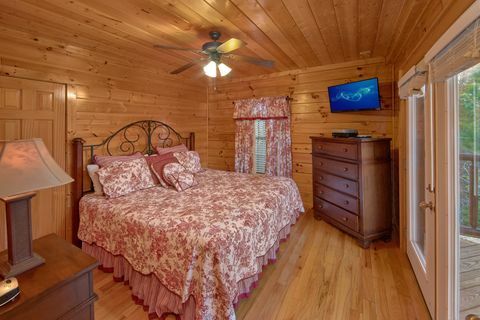 Each of the 4 bedrooms come with king size beds and 32-inch televisions (one even has a 2 person jacuzzi tub!). 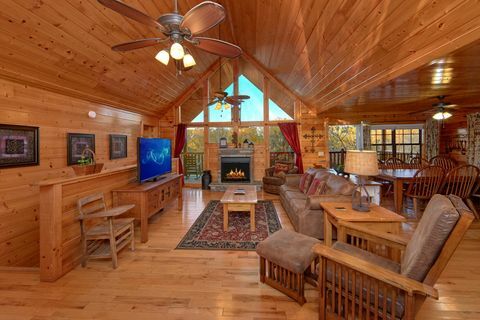 There are two living areas, both with stone, gas fireplaces, sleeper sofas, and televisions. 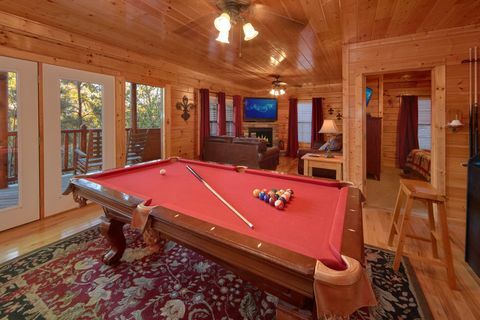 Both the lower level's game room and the main floor's living area boast a 55-inch flat screen television. 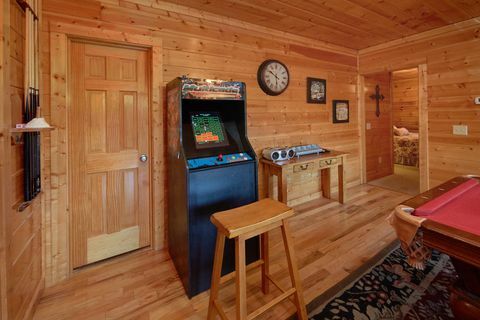 Additionally, the game room has a large selection of games and DVDs, a pool table, and a new standing video arcade game. 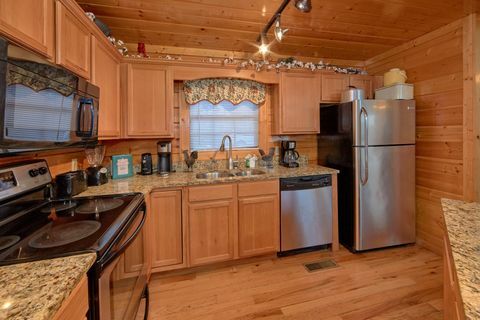 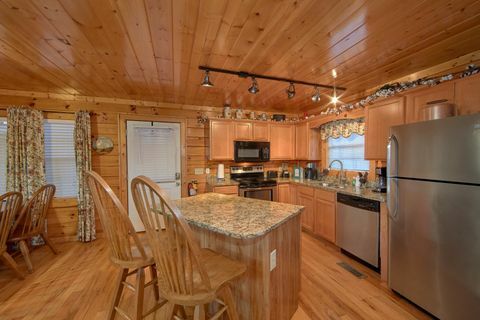 Save on meals with your cabin’s fully equipped kitchen, complete with breakfast bar and dining table. 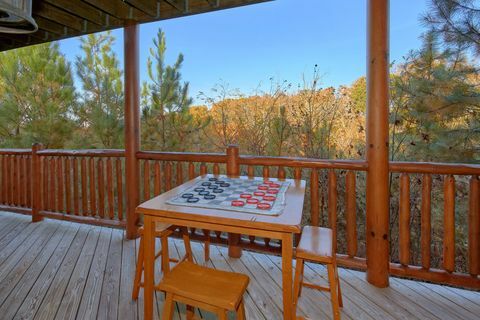 There’s also a barbecue grill for that great outdoors flavored meal hot off the grill. 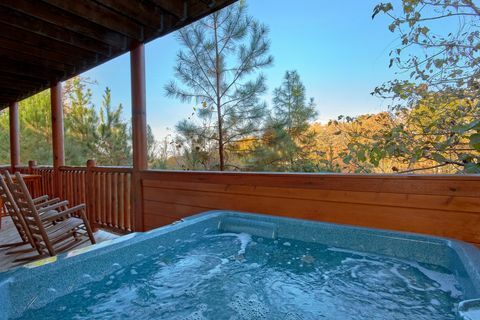 Enjoy the outdoors even more with a two-level deck and year-round hot tub on a covered deck! 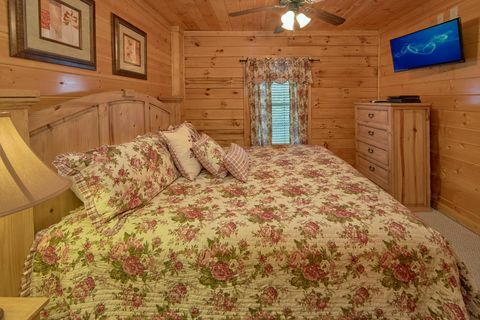 "Fleur De Lis" is all about location and relaxation. 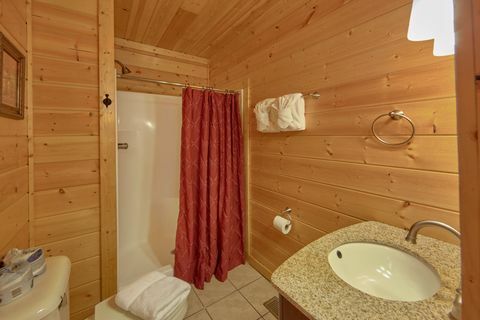 Remember, when you Book your Hidden Springs Resort cabin rental ONLINE with Cabins USA, you receive an immediate Online Cabin Rental Discount!